Evergreen displays and office desk plants are wondrous part of our everyday life. Their liveliness, color, enticing fragrance brings nature indoors immediately. Just when the smog has kicked in and the environment has a devastating fallout, plants have come to the rescue and have become the trendiest gift options. Sowing seeds of fresh air, pollutant-free environment, these plant happiness and health at the same time. Thus, also called as the gift of care, these are now available at fingertips and can spread the healthy vibes with their presence. Are you caught in a dilemma as to where you could find these divine creations? Well, FlowerAura, the leading online florist and gift portal is all decked up with all the medicinal plants online and evergreen desk plants for homes and offices. An array of mini plants for office desk and kitchen tables available online, FlowerAura avails to send these in a matter of no time straight to your dearest ones anywhere in India via its prompt and lightning speed doorstep delivery. So, if you are wishing to nurture your indoors and freshen it up with a breathtaking liveliness, these nurturing sureshots from FlowerAura are worth sending. Succulents, Sedums, Terrariums, Cactus, Lucky bamboo desk plant, topiary plants such as Bonsai, Money Trees, Flowering table top plants, and other small plants for office desk and homes are all readily available at the online store. 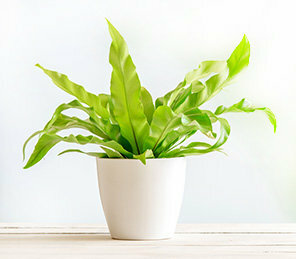 No matter which variety you pick, these office desk plants are sure to make a statement right just when it is needed. Favoring all occasions; birthdays, anniversaries, weddings, these take the occasion to a whole new celebration level with their grandeur and thoughtfulness. Plants such as peppermint, Ram Tulsi, Aralia, Tulsi, Spider plants, succulents, peace lily, and bamboo Plants Online are perfect for all occasions and events. Also, if you are looking to congratulating someone on their promotion or seeking to send your wishes to make them feel better soon, these evergreen sureshots are just the perfect choices. These desk plants online from FlowerAura are perfect for all occasions. Say thank you, appreciate your dearest one, showcase your love with the best plants for office desk and homes from FlowerAura. No matter which houseplant you pick, each one of these is easy to take care and well manageable even with less attention. Apart from bringing nature indoors, these purify the air, kill the toxins, eliminate the harmful pollutants, and spread health and love in every manner possible. Send wishes to your loved ones is always worth the trouble. However, before it becomes a distress, make sure you avail for the easiest option that helps you out from the comforts of your couch. That's when FlowerAura's smartest services and instant delivery options come into play. Availing every variety of bamboo plant for office desk and homes along with other enticing range of plants and succulents, the online portal offers doorstep delivery that ensures to hand-deliver your plant anywhere across 200 cities of India including every remotest section of each of the city. In fact, the same-day delivery takes care of your last minute realizations and makes sure to send plant online in a matter of few hours. Along with our favorite plant, you get to send more smiles by coupling your plant with cakes, flowers, chocolates, handmade chocolates, traditional sweets, god idols, cushions, personalized gifts such as photo keychains, lampshades, coasters, mugs, spa hampers, gourmet hampers, photo teddies, and many more.